I have always been more of a tea drinker than coffee. Don't get me wrong, I do enjoy coffee from time to time, but I prefer tea. I love it hot or cold. I am always willing to try new flavors too. 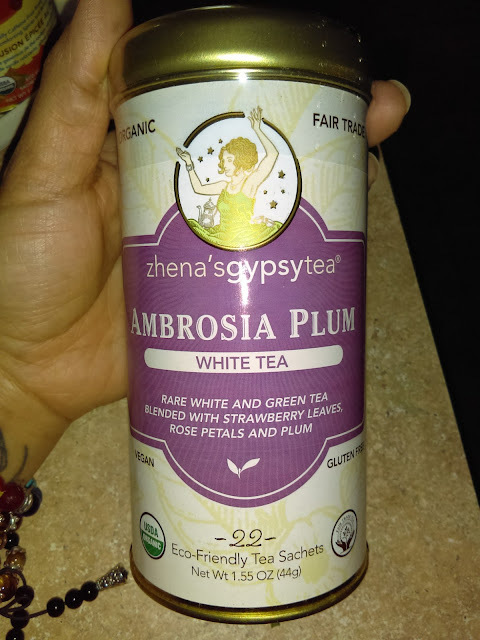 I only recently heard about Zhena Tea and was shocked at how many amazing flavors that they have available. These are both tins filled with tea bags. Pumpkin Spice one made my kitchen smell so good while it was brewing yesterday morning. 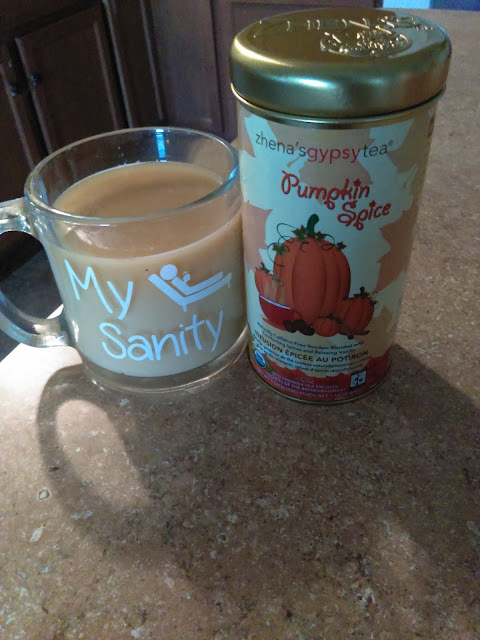 I decided to add in some plain soy milk, no sugar. 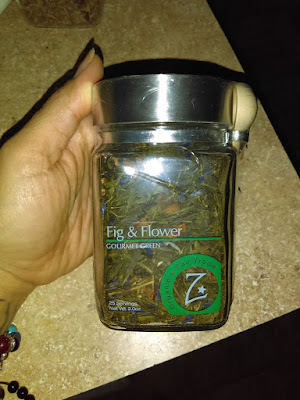 It is caffeine-free Rooibos tea blend of ginger, vanilla, and cinnamon. On the right is one their stackable tins. Each tin comes with 4 tea sachets inside. Ambrosia Plum White Tea (ingredients are shown in pic). This one is low in caffeine. 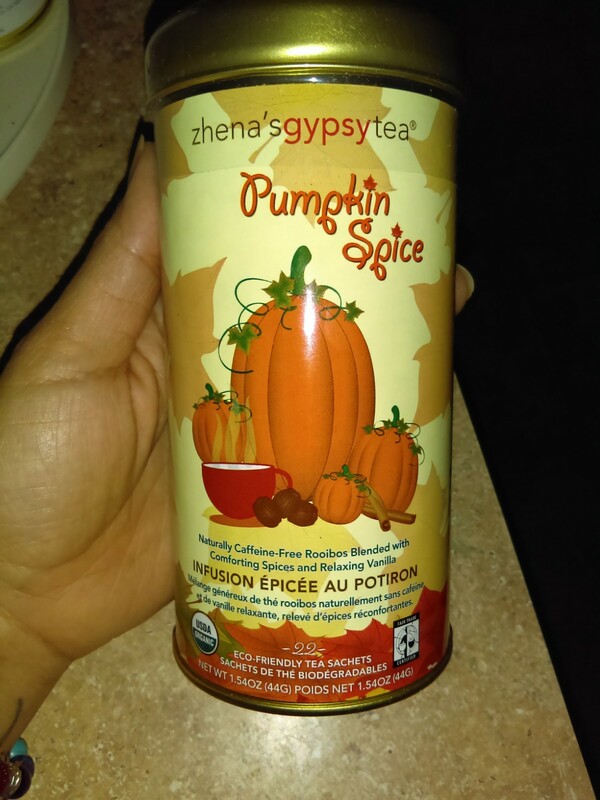 It smells and tastes delicious, with or without sweetener. Coconut Chai Green Tea is low in caffeine. 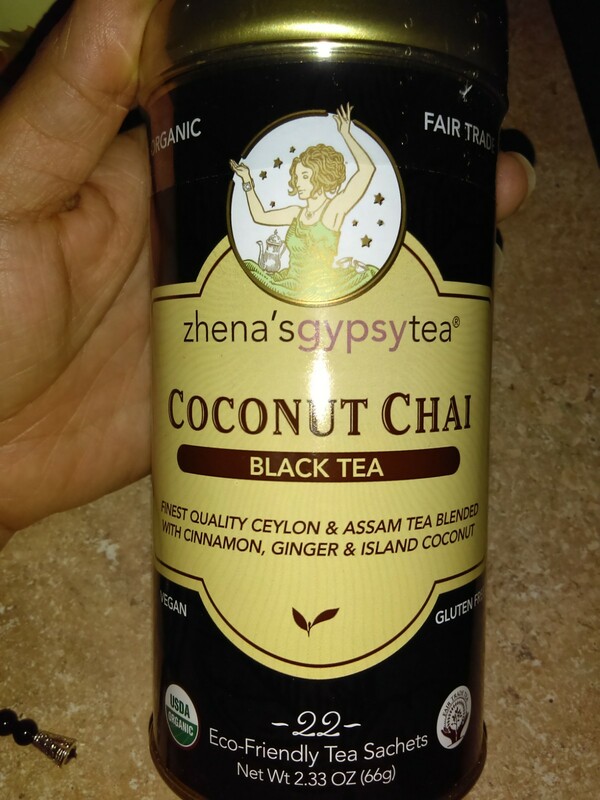 Coconut Chai Black Tea has moderate caffeine. Both are filled with antioxidants. On the back of each it says that they have ginger which aids digestion and cinnamon for warming and balancing. 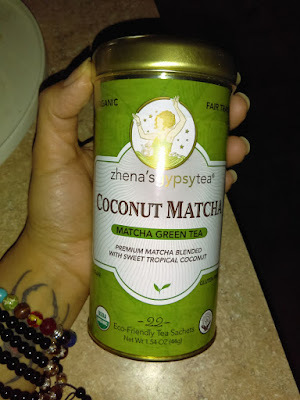 Coconut Matcha has moderate caffeine. On the back it says that coconut promotes decreased startle response and helps with stress. I love matcha tea!! 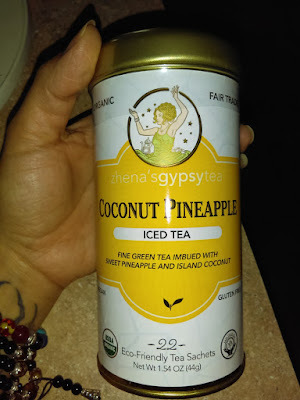 Coconut Pineapple Iced Tea is caffeine free. Although it says iced tea on it, you can enjoy it hot as well. In fact, all of the teas can be steeped and can be enjoyed hot or cold. 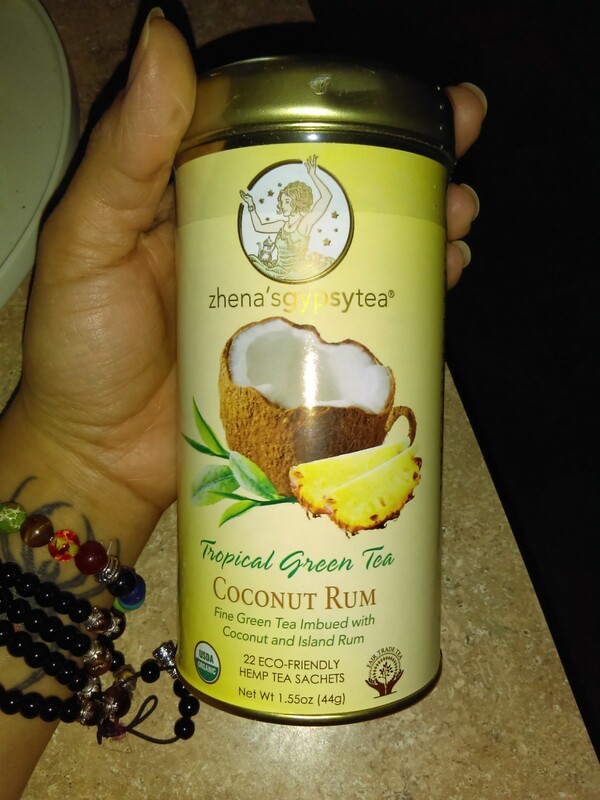 Coconut Rum Tropical Green Tea is imbued with island rum, low in caffeine, and naturally sweetened with stevia. That sounds amazing, I know. I'm actually drinking some Lavender Lemonade Gourmet Red Tea right now! Yum. 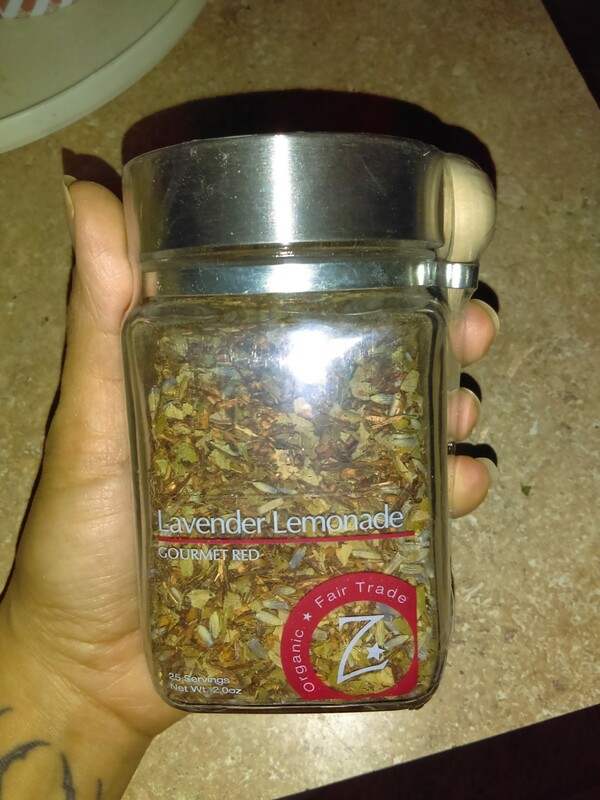 It is a blend of Rooibos tea, lemon myrtle, lavender flower, and honeybush. Fig & Flower Gourmet Green Tea is a blend of green tea, apple, cornflower, and natural flavor. It is low in caffeine. 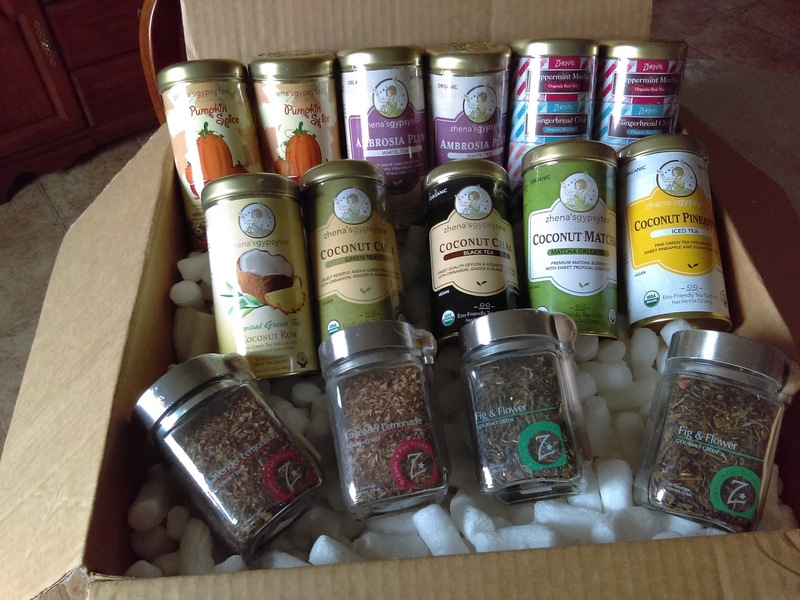 All you need to brew these particular teas is a tea infuser. Here's the great news for you guys!!! 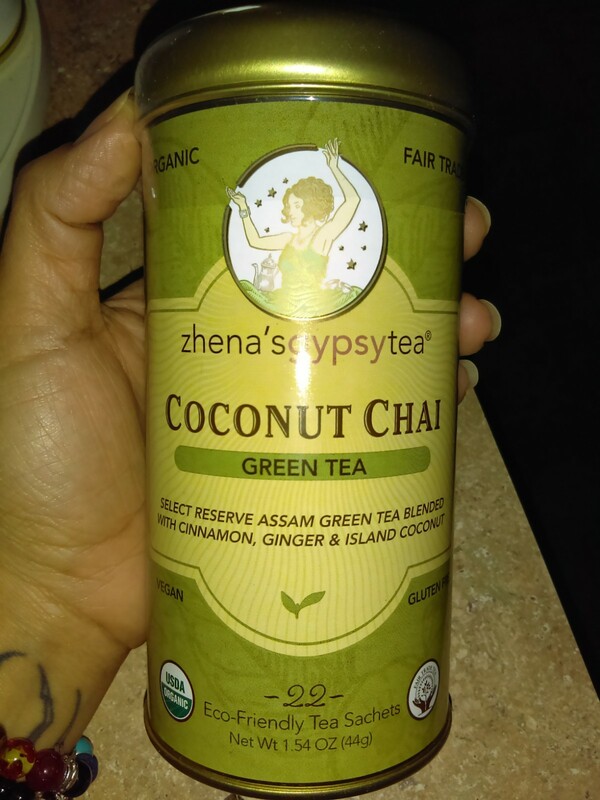 Want a year supply of Zhena's Organic tea? LIKE this pic RIGHT HERE on INSTAGRAM, FOLLOW @girlwiththespidertattoo and @zhenastea, and COMMENT! Don't forget to leave a comment on that post on Instagram to be entered! Open to the continental US only Winners will be chosen on December 8th, 2017. Good Luck! 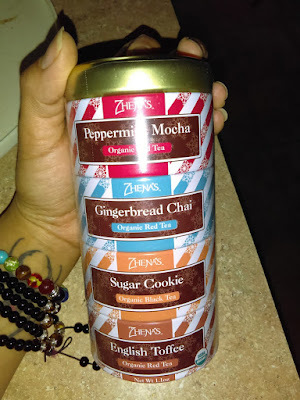 Disclaimer: I received a complimentary assortment of teas from Zhena's Tea.